Most people don't put much thought into their credit scores until the time comes to apply for a loan. If you expect to need financing in the next few months and aren't convinced your credit score is high enough to get you approved, you'll need to act quickly to improve your chances. Thankfully, there are several things you can do to boost your credit score in record time. Payment history (35%): Your payment history speaks to how responsible a borrower you are. It looks at your tendency to pay bills on time, as well as red flags such as having a bankruptcy filing on record. Credit utilization ratio (30%): Your credit utilization ratio represents the percentage of available credit you're using. A credit utilization ratio of 30% or less can help your credit score. Length of credit history (15%): The length of your credit history can work in your favor, especially if you've paid your bills consistently over time. This is the one category where older consumers have an advantage over their younger counterparts, as someone with 10 years of timely payments might be a more ideal loan candidate than someone with only one year of accounts under his or her belt. New credit accounts (10%): When you open too many new accounts simultaneously, it sends the message that you're highly reliant on borrowing to keep up with your expenses. It's generally better to open new accounts slowly over time, as opposed to opening a bunch all at once. Credit mix (10%): Not all debts are created equal. Credit bureaus make a distinction between credit card accounts versus student loans, car loans, and mortgages. As you can see, certain factors play a larger role than others in determining your score. That's why it pays to focus on the first two categories -- payment history and utilization -- when taking steps to boost your credit. Carrying a credit card balance won't just cost you more money in interest payments; it'll also drive up your credit utilization ratio. Say you have $5,000 in available credit along with a nagging $2,000 balance you've yet to pay off. Even if you don't charge another dime on a credit card for the foreseeable future, as long as that $2,000 remains outstanding, your credit utilization ratio will be above that ideal 30% threshold. Paying off your existing debt, or at least a portion of it, is therefore one of the fastest ways to bring your score up. If you don't have the cash available to chip away at your balance (which tends to be the case for those who owe money on their credit cards), you might consider taking on a temporary side job or picking up some extra shifts through your current employer. If that's not an option, then take inventory at home and see if there's anything you can sell for a quick profit. The sooner you bring down your credit utilization ratio, the quicker your score will climb. Another way to improve your credit utilization ratio is to request a higher credit limit. If you're a long-standing customer with a decent credit history, there's a good chance your credit card issuer will comply. In fact, in a recent CreditCards.com survey, 89% of consumers got their credit limits increased simply by asking. If appealing to your current credit card company doesn't work, your next best bet is to try opening a new credit card. Though hard inquiries on your credit history, which occur when you apply for a new account, can temporarily ding your score, if your new card comes with a generous credit limit, it can more than compensate -- especially since your credit utilization ratio carries more weight than most other categories when determining credit scores. A simple credit report error could wreak havoc on an otherwise respectable score. It's estimated that 20% of credit reports contain errors, and if you spot one on yours, fixing it could give your score an immediate boost. According to the Federal Trade Commission, 20% of consumers who dispute credit report errors see their scores rise as a result, so it pays to review your credit report and make sure it's completely accurate. If opening a new credit card isn't an option for you, you might try seeing if someone else will add you as an authorized user to an existing account. This can help in a number of ways. First, as long as the initial cardholder pays his or her bills responsibly, those on-time payments will beef up your record. 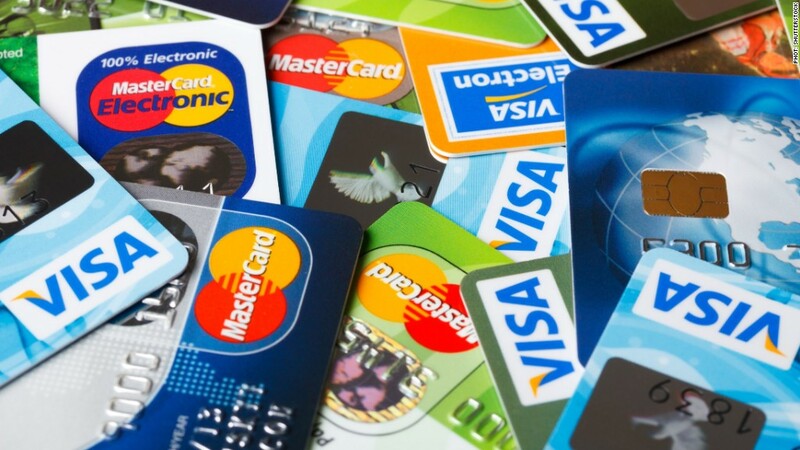 Additionally, the credit limit the card in question comes with will get added to your existing limit, which can help bring down your credit utilization ratio. Furthermore, you don't actually need to use the card you're issued to have it help your credit; you just have to choose the right person to partner up with. Though building credit typically takes time, these moves can help give your score a more rapid boost. That said, your credit score isn't something you can set and forget, so once your number improves, be sure to maintain the good habits that helped it climb in the first place. Otherwise, you could end up right back where you started.